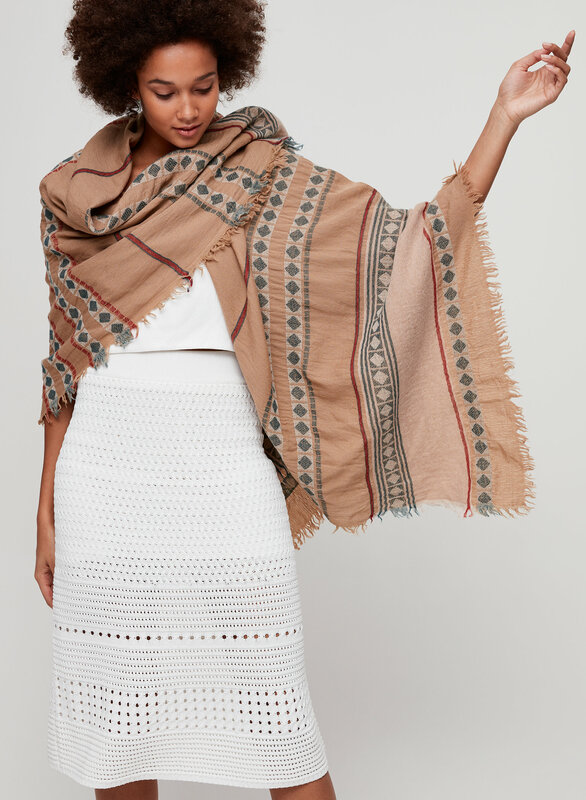 Styled with varinia skirt and cézanne tank . 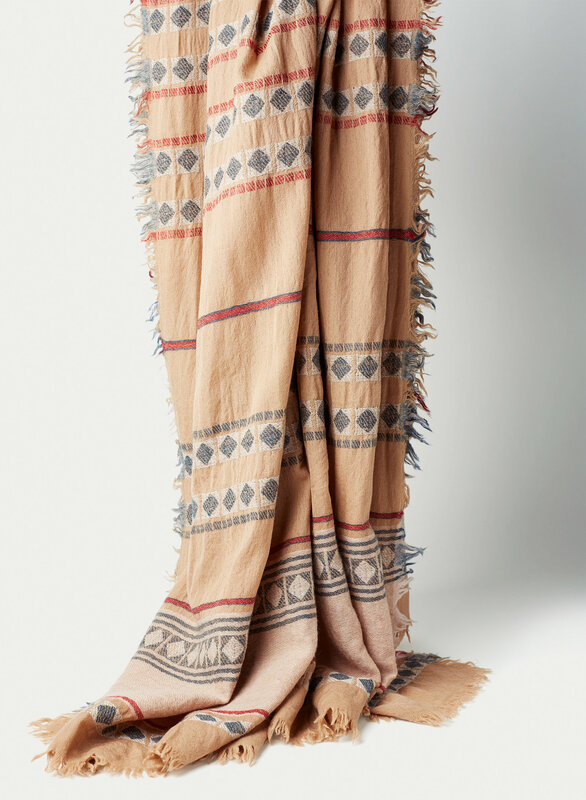 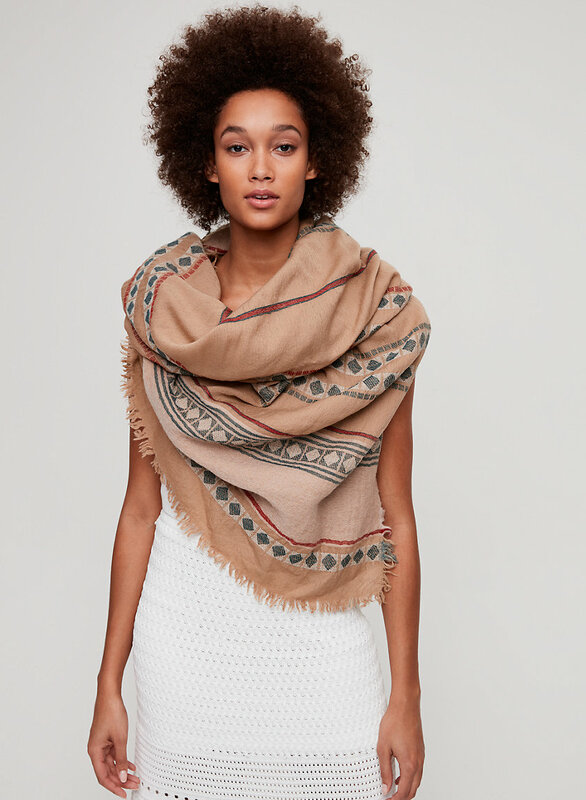 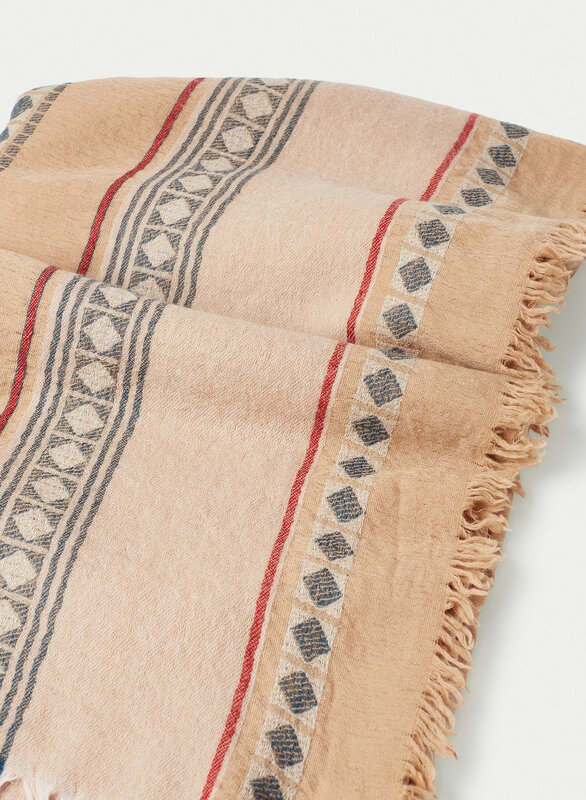 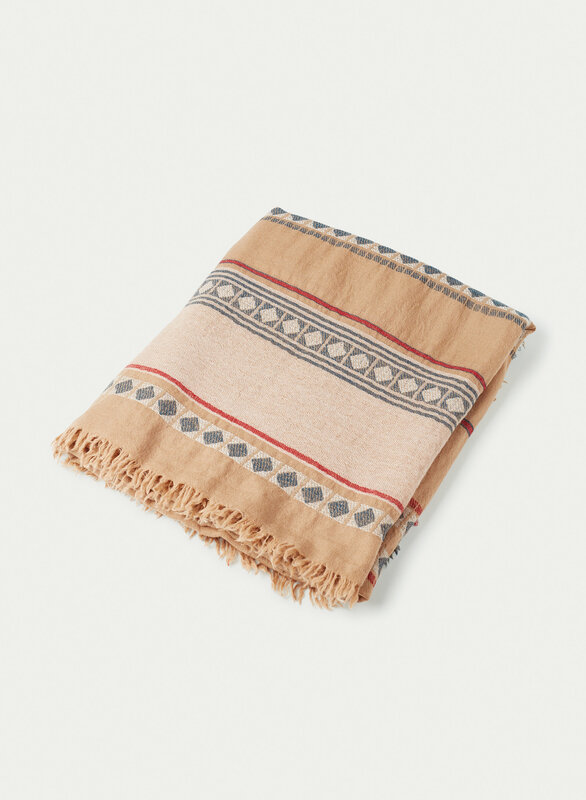 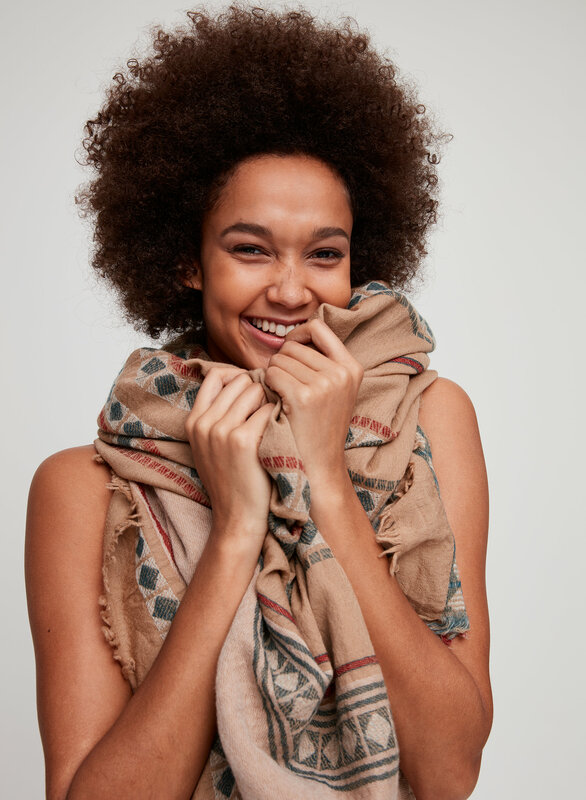 This Wilfred blanket scarf is made from pure Australian wool chosen for its exceptional quality and softness. 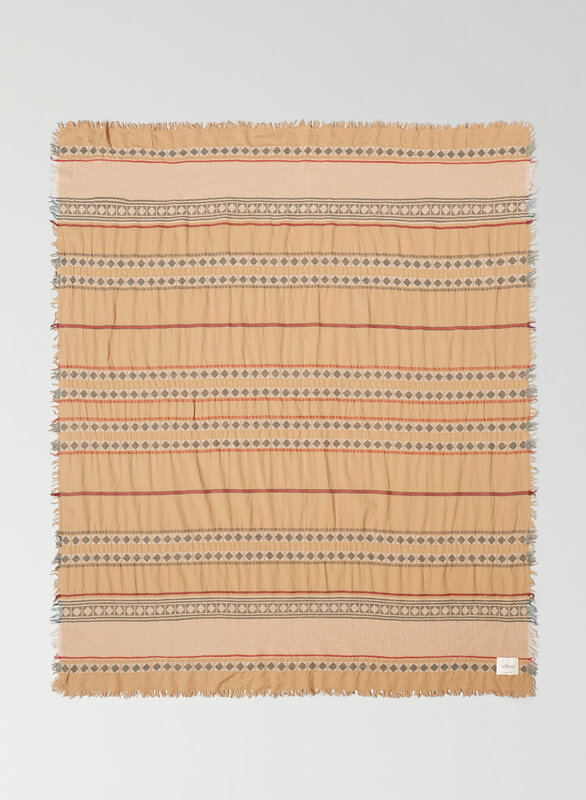 The fringed edges are finished by hand, and the artisanal pattern was designed in-house.